Plot: A TV series that explores a city that’s larger than life. A city without limits. A glittering mecca of excess and forbidden desires. 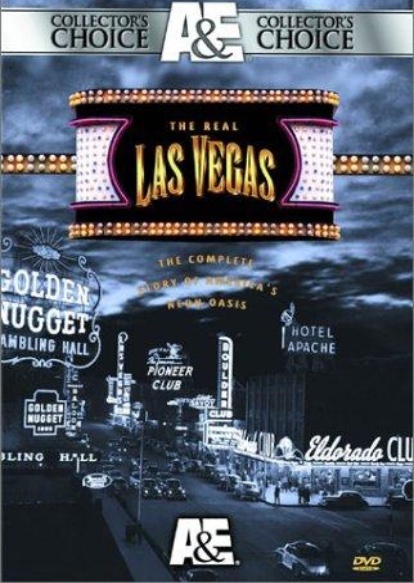 THE REAL LAS VEGAS tells the fascinating story of this fabled place and the people who created it. From the mobsters who made Vegas into their version of the American Dream to the tycoons of today’s family mega-resorts, this is the ultimate insider’s tour of America’s neon oasis. Starring: Richard Crenna, Muhammad Ali, Nat “King” Cole, Sammy Davis Jr., Marlene Dietrich, Bob Hope, Howard Hughes, Robert F. Kennedy, Shirley MacLaine, Dean Martin, Kenny Rogers, Barbara Streisand, etc.